As-Salaam Alaikum Wa Rahmatullah. My dear brother/sister, I just read "the seven awliya of Marrakesh" and I have a few points about which I would like some clarification (if you don't mind that is). I understand that Allahu Ta'ala and His Messenger have mentioned that there is such a thing as "Wilaaya," but I have always thought that only Allah alone knows for sure who His awliya are. I thought that except for those who have been clearly pointed out to us by Rasul'Allah, there are no undisputed awliya that we can be sure of without doubt. Because it is the truth that the preference of one believer over another in the Sight of Allah is with the purity of his heart, and none knows what is in the heart except Allahu Azza Wa Jalla. I have been trying to understand this concept (how it is decided that someone is a wali of Allah) for a while now and I hope you can help me out with it. May Allah guide us all. BTW, I really love this 'blogspot' a whole lot, and may Allah reward you for your effort. Thanks for your kind message and your questions. Allah knows his Awliya yes but some are more apparent that others. These seven are more apparent than others. For example Sheikh AbdulQadir Al-Jilani is one of those amazing Awliya who is apparent to everyone but the Muslim who cleans the masjid toilets may not be so obvious. There is nothing in Hadith to state the Wilyah will end and that they need to indicated to. The sincerity or lack of is a secret and this is different issue. Allah is his infinite wisdom chooses his Awliya but the first steps to Wilya is getting the Fard in place and then the Sunna. This is why it is so special because you could be speaking to a Wali and not even know their state! In Maroc they are good to everyone because they do not know who is beloved to Allah. Please keep visiting and commenting. Just a quick note for someone who said a wali must have miracles. Ibn Arabi said that it is not necessary that the wali have miracles. 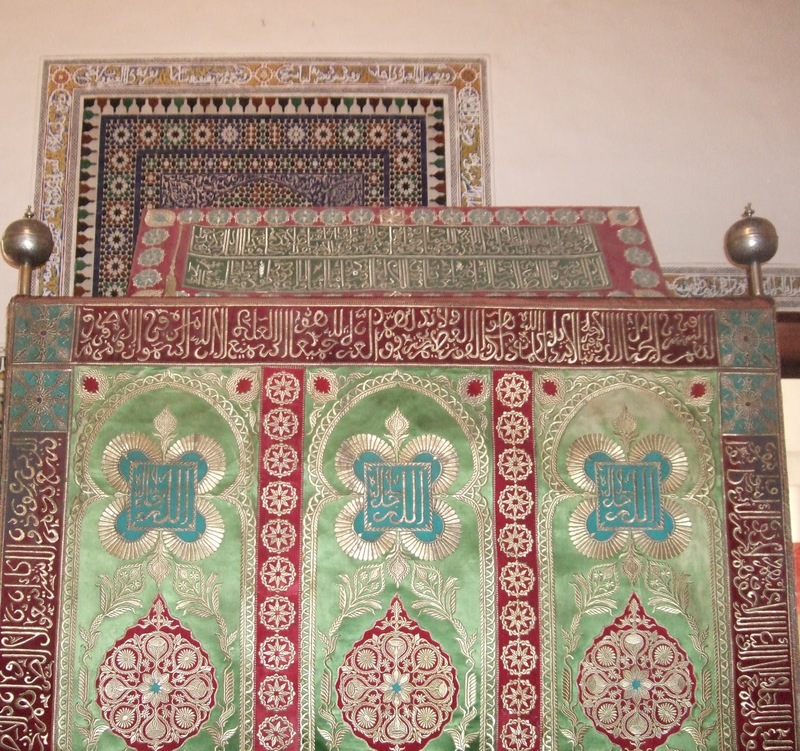 Asalat Wasalam Ala Rasulna Hibibana Saidina Muhammad Mustafa Elfatih lima Uklaka, Wakatim Limasaka NaasrilHak Bilhak Wal Haadi IlaSiratul Mustakeen Waa ala alihi wa Ashabihi Haka kaderihi wa mekdariheem . Ya ALLAH Bestow On His Soul and His entire Family and entire Ummah Your Salat and Salam. me. Please be rest assured that Awliya of ALLAH (SWT) are 124000 at any given time. How do you know a Wali is by what ALLAH has declared in Hadith Kudsi. If He (SWT)wish to raise his servant He will inform His ANGELS which info will transcend to JINNS and HUMANs and his (The Servant's) affairs will be known to those chosen Abdal who will have the authority to make it known to others. The fact that HE (SWT)he stood by HIS Friends in controversial situations is indicative that they exist and will make those adversaries and others know . They are most of the times consolidated by miracles and other abilities. Salaam. 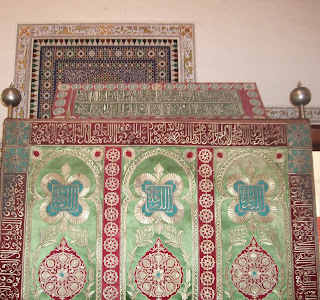 I had the privilege of visiting the 'sab'ah rijaal' a few years ago, and specifically remember one of the ziyarahs has several small (children?) graves, with cats sitting on the graves. does anyone know any more about that maqaam? There are arabic books that give more biographical information but there might not be specific information about the state of the graves.